Aloe vera plants are often used to treat sunburn or other minor burns, so some people like to keep an aloe plant around the house. 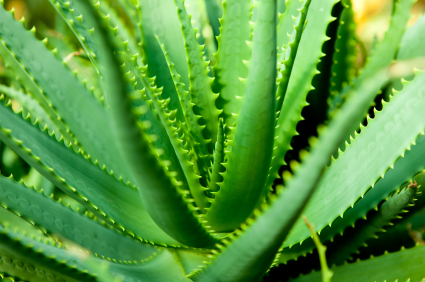 These plants are relatively easy to care for, but if you’re looking for aloe vera plant care tips and methods, look no further. 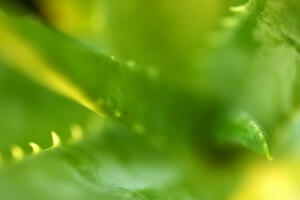 Continue reading for the best aloe vera plant care tips on the web. Although you can successfully raise an aloe vera plant in almost any type of soil, your plant will do best if you plant it in a mix of one third sand and two thirds potting soil when growing it in a container. This will help make sure that any extra water drains out of the pot. Remember this aloe vera plant care tip: You can only grow aloe plants outdoors if you are in zones 9 to 11, but aloe plants can benefit from being outdoors during the spring and summer. Just make sure you bring them back inside before the first frost comes. Another important aloe vera plant care tip is to keep your plant in a place where it will be in direct sunlight most of the day, whether you plant it outdoors or plant it in a pot. Aloe plants grow best when they are kept at a temperature between 60 degrees and 80 degrees F in the daytime, and at a slightly cooler temperature of 55 degrees F at night. If the temperature goes below 40 degrees F it could cause damage to your aloe plant. 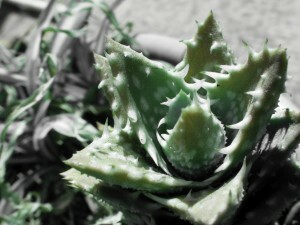 Aloe plants do not require much water, so do not water them every day. When you first plant your aloe vera, you will probably want to water it approximately once a week, but when it is more established you will only need to water it once every two to three weeks. 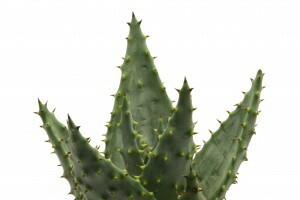 Only water your aloe vera plant when the soil is totally dry to the touch, and then soak it thoroughly. If you keep your aloe plant in a container rather than planting it outside you will need to change the pot from time to time, as aloe can grow fairly quickly. Choose a container that is three to four inches larger than the previous container and use new soil. You will probably only need to do this after three or four years has passed. Another aloe vera plant care tip is adding fertilizer to the pot where you are growing your aloe vera plant will help keep it healthy. Water your plant, then add a 10-40-10 fertilizer and lightly water the plant again to minimize the chance of the plant roots becoming burned and to help spread the nutrients around. You can help conserve nutrients by removing the stalks of flowers as soon as the flowers stop blooming. Those are some excellent tips for individuals that don’t live in a climate where Aloe Vera grows naturally. I happen to live in an area that is known for growing Aloe Vera. I think it’s a great idea for those interested to grow their own and have it in their medicinal repertoire. do you know how to extract and harvest the aloe vera gel from broken stems? I have heard of cold pressing. Do you know of this? I want to harvest the larger leaves and don’t want to waste the energy and healing powers of these extremely bruised by a quick Wisconsin wind when it flipped my pot and its container over. Thank you for your help.